1998, as we’ve talked about in the previous article, saw the release of some all-time classics. 3D began to take hold, and games and game developers responded in kind. The Unreal Engine, which would go on to be the backbone for scores of games including the Gears of War and BioShock series. One of today’s biggest developers, Rockstar Games was created. Irrespective of which gaming system you owned in 1998, there was a ton of good games on offer. 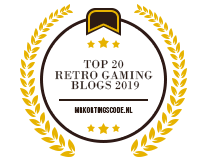 With that said, let us continue with part 2 of the best video games from 1998, a retrospective and look at some more awesome games from this year. Modern stealth classics like Dishonored and Splinter Cell can trace their origins back to Thief: The Dark Project. It was one of the first games that allowed you to utilize lights and shadows as stealth devices. Don’t want anyone to see you walking through a corridor – snuff out the torch at the entrance and slip through like a ninja. Thief also featured different types of floor surfaces, each of which created different levels of sound, making it imperative that you’re aware what you’re walking on at all times. Stealth was of the essence in Thief, since you weren’t very strong and would easily get overwhelmed in a face-to-face fight with the guards. Watching other people in the environment react to your presence organically made journeying through this world a lot of fun. Baldur’s Gate was the first RPG from a developer that has now become a titan of the genre – Bioware. The success of Baldur’s Gate was essential in resurrecting the RPG on the PC, a genre that had slowly started losing steam because of a series of less than stellar games. Bioware, however, knew how to do things right. It is remarkable how well they managed to translate the massive Dungeons & Dragons rule set to a game that works well and is fun to play. The game featured a huge open-world with a ton of lore and side quests to explore – a formula that would become synonymous with Bioware in years to come. Grim Fandango is a shining example of the adventure game genre. A true classic of narrative, the game immersed players into a bizarre world populated by several weird but compelling characters. While many people remember Grim Fandango as a point-and-click adventure, there’s no real pointing and clicking you do in the game. Your character moves through the 3D world with a slightly clunky system, something that shows adventure games still hadn’t completely figured out how to use 3D. Grim Fandango did a lot of interesting things with the game design, choosing to remove any visible interface and replace it instead with mechanics that existed within the world of the game itself for inventory management and other tasks. The memorable setting, rich plot, great art style and a stellar soundtrack made for a fantastic rendezvous with the dead. Super Mario 64 blazed the trail for 3D platformers. Then Rare came along and took things to a completely different level with Banjo-Kazooie, a gorgeous platformer that really pushed the Nintendo 64 to its absolute limit. Banjo and Kazooie, the game’s titular heroes are distinct and have several abilities that shift and shape the dynamic of the game. There’s a ton of content and special abilities to unlock as you progress, and meeting the extensive cast of weird, funny and cute characters makes the journey a lot of fun. Banjo-Kazooie is one of Rare’s best games, and that is a major achievement considering their stellar library. Gran Turismo shows how much fun racing games can be when they’re done right. Gorgeous graphics, slick driving controls and a massive amount of content to explore and race through make this a flag-bearer for all racing games on the PlayStation. The physics are accurate and the cars look and sound great. Your car reacts realistically to different terrain, shaking when you’re redlining the engine and bouncing through gravel on the tracks. One feature that really sets the game apart is the replay system. Watching a cinematic replay of your driving prowess is sheer, adrenaline-pumping joy. That does it for our look back at one of the most amazing years in video game history – 1998! Thank you for our series about the best video games from 1998, and we hope this list compels you to go out and play one of these gems. As always, check out some of our other retro look backs. Until next time, happy gaming! Did you know that we buy used games and sell old video games directly on our website? We have great prices and lots of retro video games to choose from. Come On, Let Go Shopping! 5 Glorious Retro Gaming Shooters You Gotta Play Now!